In contrast to other laminate flooring products, those of KRONOTEX deliver a small but crucial benefit: so-called “grow-to-measure joints”. 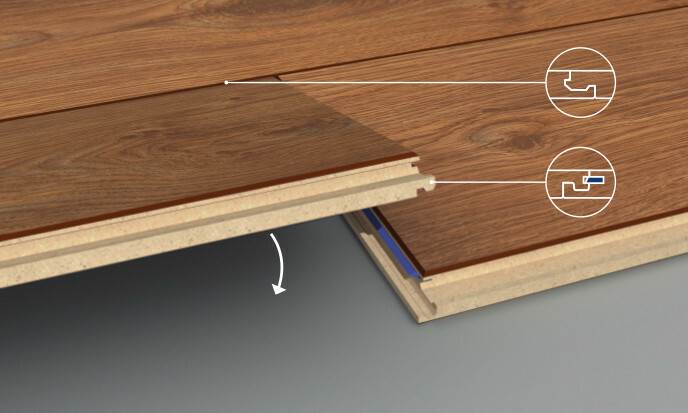 Thicker laminate floors call for thicker snap-together joints. It sounds logical, but only KRONOTEX laminate flooring meets this requirement. No other laminate product anywhere in the world has anything comparable. Only KRONOTEX, for example, uses a thicker CLIC joint for 12mm panels than for 8mm panels. It “grows” with the thickness of the panels. 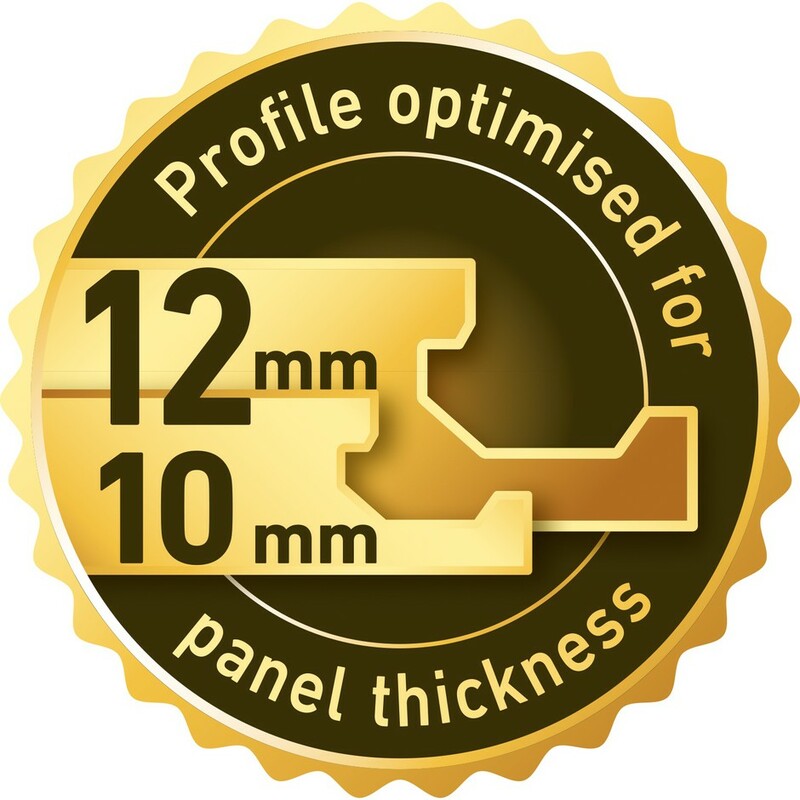 In 10mm and 12mm panels, at the top end of the range, the CLIC system is milled with correspondingly larger dimensions. This makes these elements stronger and extends their useful life. As they are thicker, more material meshes and the joint is stabilised. This is especially noticeable when installing the flooring: the panels are easier to click into place. Professional installers and DIY enthusiasts alike appreciate this clever detail.